The studio utilizes the latest in technology to offer a variety of approaches to piano and several music subjects such as Composition, Harmony, Music History, and Ear Training. Comprehensive approach to piano study: Students are introduced to theory, music history and aural training as part of the curriculum. 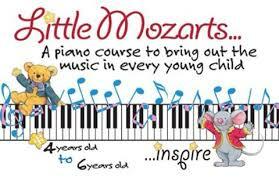 Interested students are encouraged to participate in recitals, annual exams, and other fun piano festivals and competitions. Class Size: 6 Children (ages 4 – 6). * Fully-equipped Yamaha Clavinova Piano Lab.